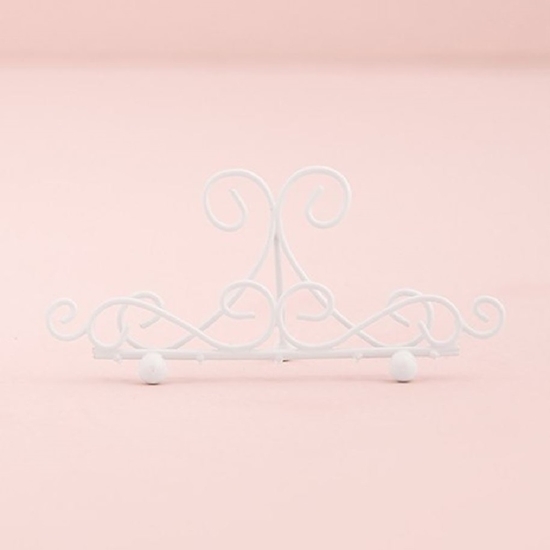 This Mini stationery Holder is made from alloy metal wire with a white finish. It is sold in packages of 6. The holder measures 4 3/4'' x 1 1/4'' x 2 1/8'' (Tall). The space for stationery placement is approx. 1/4 of an inch. Stationery items always has a place in weddings, and for good reason too. Whether to inform, to display, or even just to add some touches to the decorations, they do a good job in being functional as well as keeping up with the theme of the celebration. 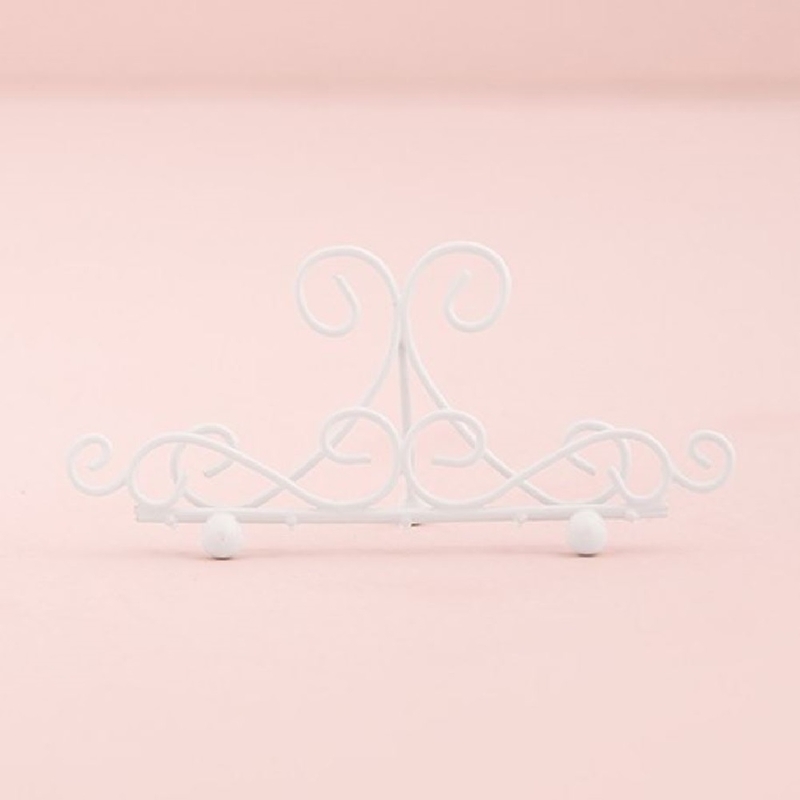 This mini white stationery holder acts as a card holder while being decoratively created with carved intricate design that adds a feminine charm to the layout. Pair this with our regular sized white stationery holder for a duo formation of appeal.